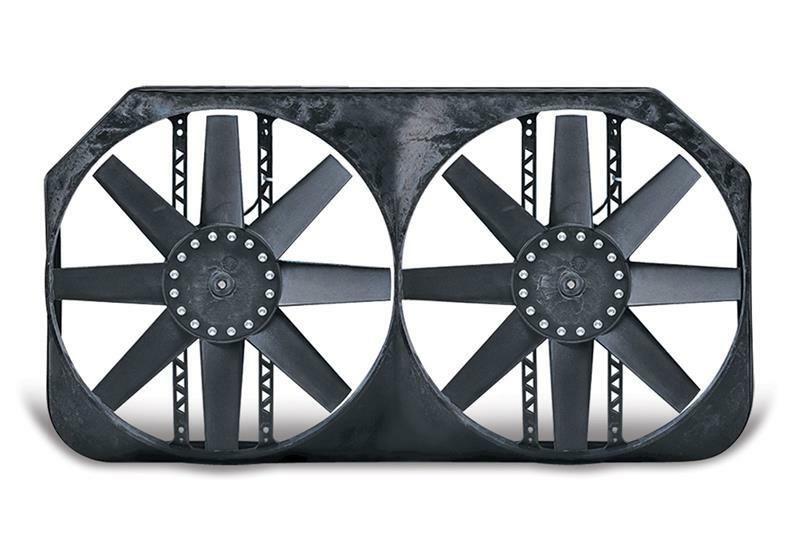 An electric engine-cooling fan built for the demands of your big truck, and then some. 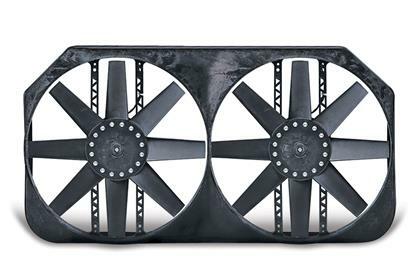 This fan is the most powerful on the market and is the answer to the overheating problems caused by slow city driving or heavy towing, and solves the cooling problems that occur with body lifts. This unit responds based on cooling need (not just engine speed) to maintain optimum engine temperature. Up to 17 additional dyno proven horsepower is transferred to the wheels by removing the belt driven fan and fan clutch. Decreased load on the engine results in improved fuel economy – up to 3 MPG. Pulls a whopping 5,500 cfm. 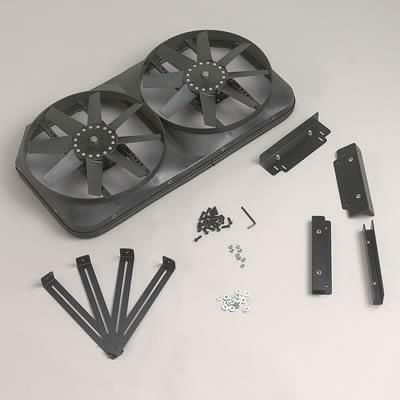 Motor leads can be reversed to create a pusher fan, but efficiency is reduced. Dual 15” blades move 5500 CFM!